Summertime in northwest Indiana; it&apos;s the season where we can enjoy the sunshine, time with our family and friends and special events nearly every weekend. Summertime is also time for fairs, festivals and weekend entertainment. One of the highlights of summer festival season is the music. A Touch of Dutch Festival and Parade is celebrating 50 years on Aug 11-12, 2017. This summer favorite offers free admission and parking, fireworks and family-friendly activities. You won&apos;t want to miss music by Hot Rod Heathens on Aug 11, 2017 from 7:00p.m. 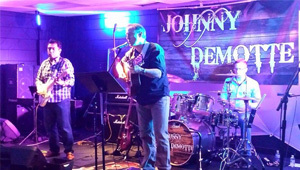 to 9:00 p.m. and Johnny DeMotte, The Highway Band and Nawty on Aug 12, 2017 from 2:30 p.m. to 9:00 p.m. A Touch of Dutch takes place at Spencer Park in DeMotte and you can learn more by following the event at www.facebook.com/touchofdutch. This year&apos;s Newton County Pun&apos;kin Vine Fair will feature Chris Lane with special guest William Michael Morgan. His performance begins at 8:00 p.m. on July 11, 2017 and tickets are still available. The Fair will take place at the Fairground in Kentland from July 10-15, 2017. See a schedule of events and purchase tickets online at www.newtoncountyfair.com. This year&apos;s Goodstock Music Festival in Goodland will feature a number of bands benefiting the Mary T. Klinker Veterans Resource Center. The event which takes place in Foster Park in Goodland will take place on Aug 19, 2017. Gates open at 1:00 p.m. and spectators can enjoy the Jason Wells Band, a Santana Tribute and Jack Russell&apos;s Great White, among others. Directions and more details can be found at www.goodstockmusicfestival.com. A number of other musical acts will descend on the Region including country, rock and roll, a number of tributes and blues. The South Shore CVA has put together a list of the Region&apos;s events that feature live entertainment. Find the "South Shore Rocks!" post here on our blog. If you enjoy live entertainment, great food and cold beers, you&apos;ll want to download the South Shore Brewery Trail App on your smartphone. The App features more than 20 breweries in the area. 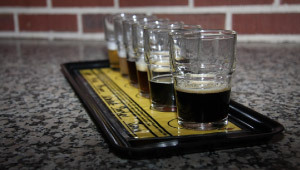 Each brewery offers unique beers and most offer delicious food as well as special events. You&apos;ll find trivia nights, rock and roll and special festivals throughout the year. Push notifications will keep you in the loop to find out what&apos;s happening near you. With more than 20 breweries to choose from, you can spend the summer finding your favorite porter, lager, IPA, sour or seasonal brew. Start at www.ssbrewerytrail.com or download the South Shore Brewery Trail App in the Apple Store or Google Play. Erika is the Director of Communications for the South Shore Convention and Visitors Authority.